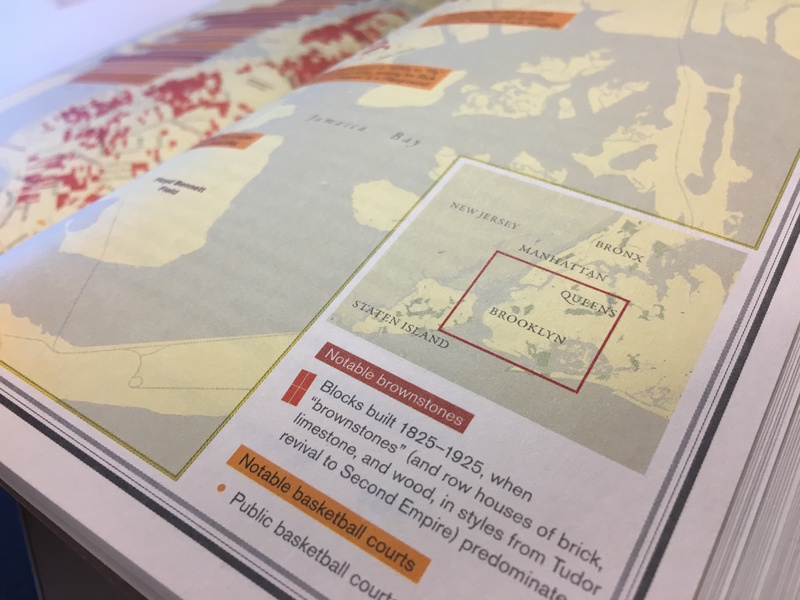 This is the fourth of the “six” boroughs blog series celebrating Nonstop Metropolis: A New York City Atlas by Rebecca Solnit and Joshua Jelly-Schapiro. We’ve already visited Queens, the Bronx, and Staten Island. If you missed the prior posts, we encourage you to go back and read them after you’ve finished reading about Brooklyn. Brooklyn’s basketball courts are as much a part of New York’s landscape as are its regal brownstones, where each is often within close proximity to the other. Pick-up games have long been a way to get to know the neighborhood and to play and be friendly with neighbors and strangers. At Coffey Park in Red Hook, Carmelo Anthony honed his game. Marine Park is where Chris Mullin played, and every Saturday there’s serious pick-up. 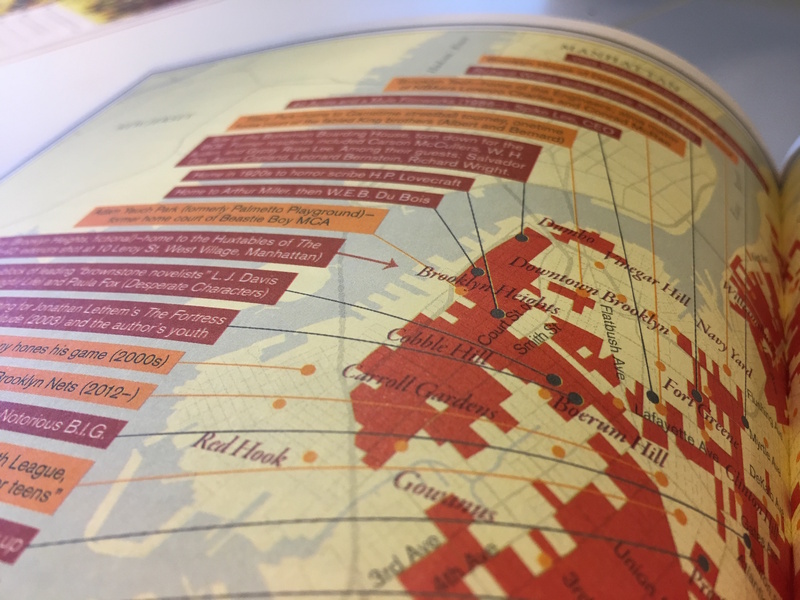 “Brownstones and Basketball” map detail, including Red Hook and Brooklyn Heights neighborhoods, among others. But development since the 1990s has meant more brownstones are renovated and basketball courts are removed, pointing to the loss of something that’s intrinsically Brooklyn. 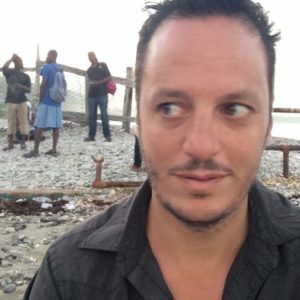 In fact, this last June conflict in the well-off Brooklyn Heights enclave rose when residents attributed Brooklyn Bridge Park’s basketball players—coming from as far as the Bronx and Queens—to “damaging the character of the neighborhood.” Who and what defines that character is up for discussion. In an era when Brooklyn has become a global “brand” beloved by British celebrities who name kids for the borough, it is the iconic building type of the moraine—the brown­stone—that people think of. Like New Orleans with its shotgun houses or San Francisco with its Victorian “painted ladies,” Brooklyn is among a handful of American cities essen­tialized in the popular imagination by a particular kind of residential architecture. The brownstone townhouse signifies Brooklyn as much as the borough’s eponymous bridge or Coney Island’s Parachute Jump—perhaps more so. . . . But the brownstone represents only old Brooklyn, the city of the terminal moraine. Outwash Brooklyn has a signature style of residential architecture all its own—the Tudor-revival home, with its faux half-timbered walls and slate tile roofs. This style may not be popular among creative-class elites who clamor for brownstones—at least not yet. 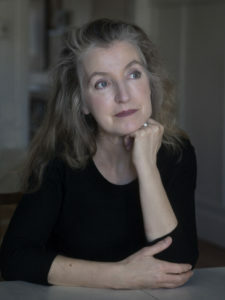 But it too is saturated with significance and speaks to the varied and ever-changing ways that our homes can suggest longing at once for the future and for some imagined past. 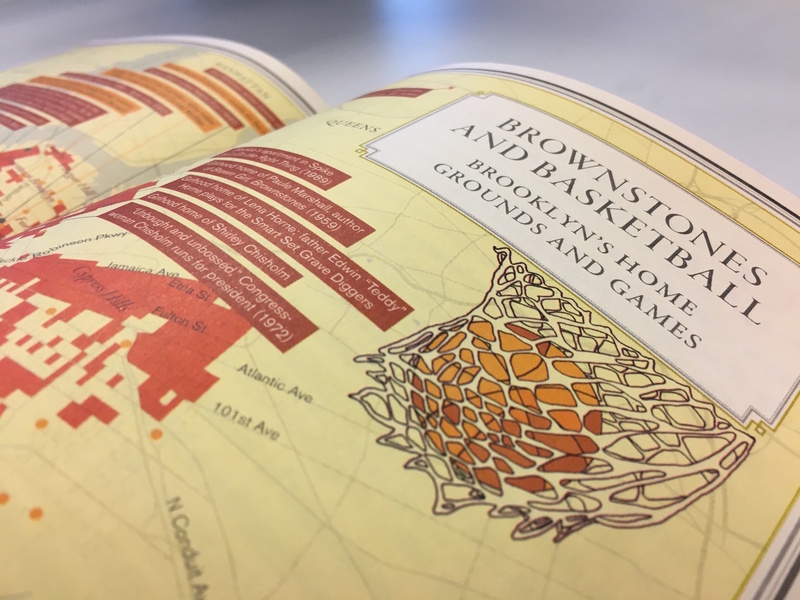 The images above and below are details from the map “Brownstones and Basketball,” which locates notable brownstones and public courts throughout Brooklyn. 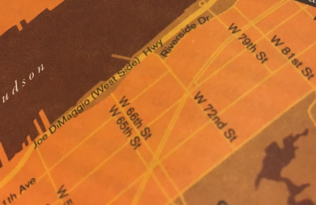 You can find the map and both essays in full in Nonstop Metropolis: A New York City Atlas. 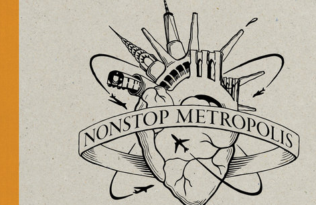 Nonstop Metropolis: A New York City Atlas is the final volume in our trilogy of atlases by Rebecca Solnit, Joshua Jelly-Schapiro, Rebecca Snedeker, and a host of notable contributors. Following the publication of the critically lauded Infinite City (San Francisco) and Unfathomable City (New Orleans), we bring you this homage—and challenge—to the way we know and see New York City, in an exquisitely designed and gorgeously illustrated atlas that excavates the many buried layers of all five boroughs of New York City and parts of New Jersey. The “Six” Boroughs: Manhattan The “Six” Boroughs: New Jersey More Stories from the Metropolis—and Beyond Mapping the Metropolis: Riot!